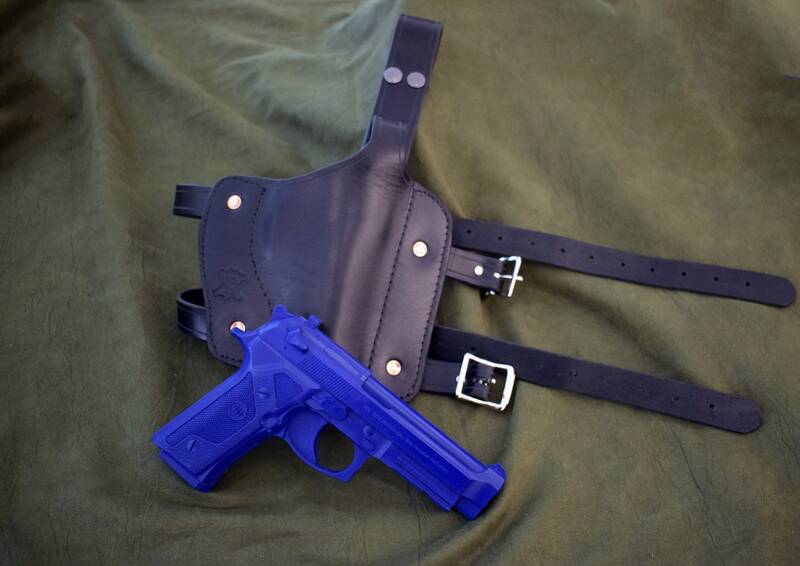 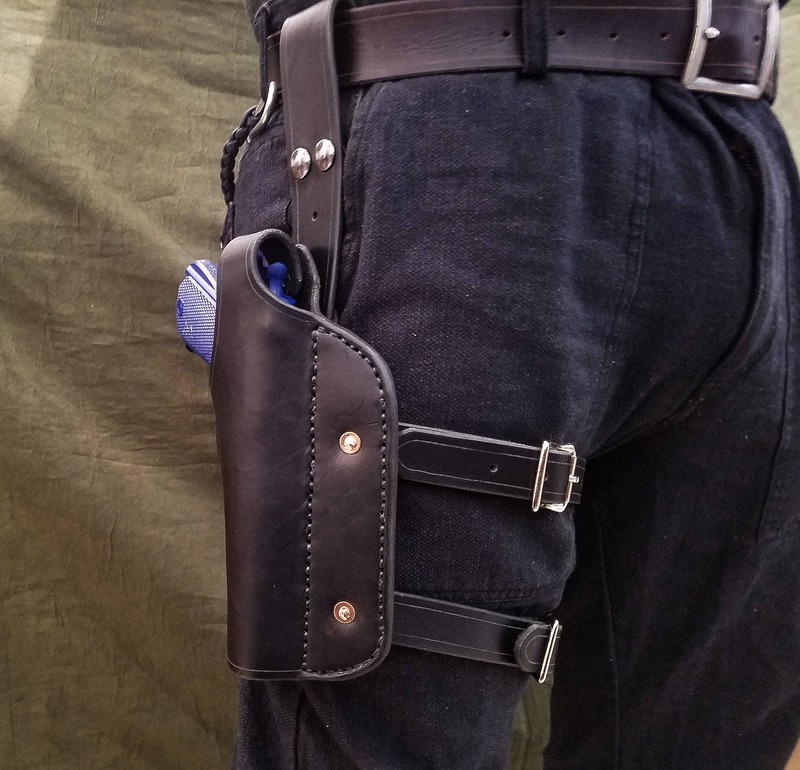 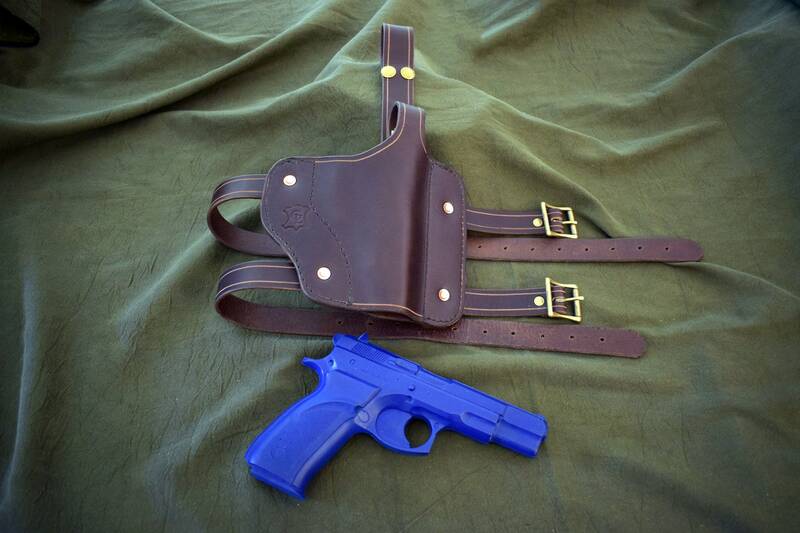 This is a handmade leather thigh holster. 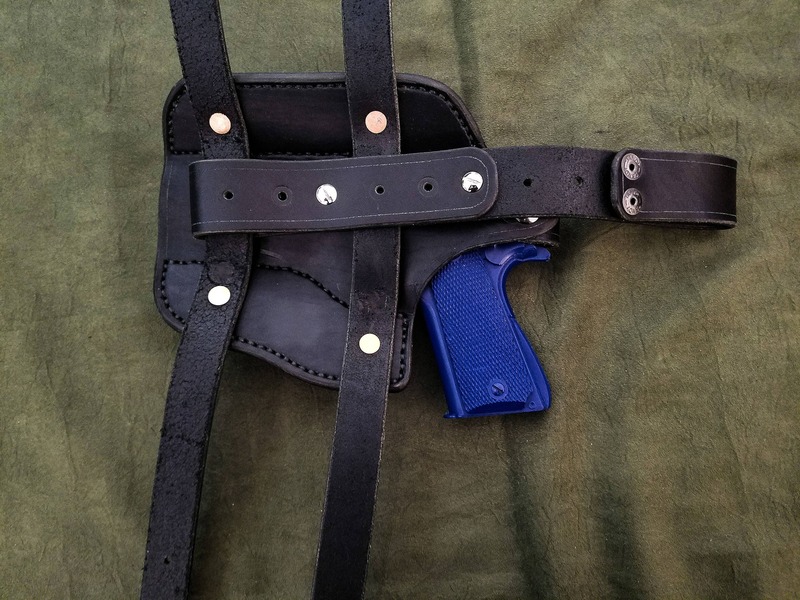 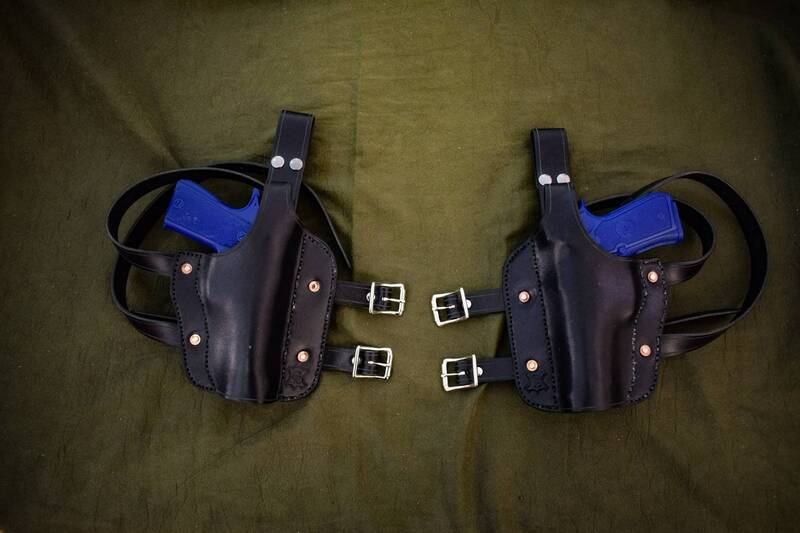 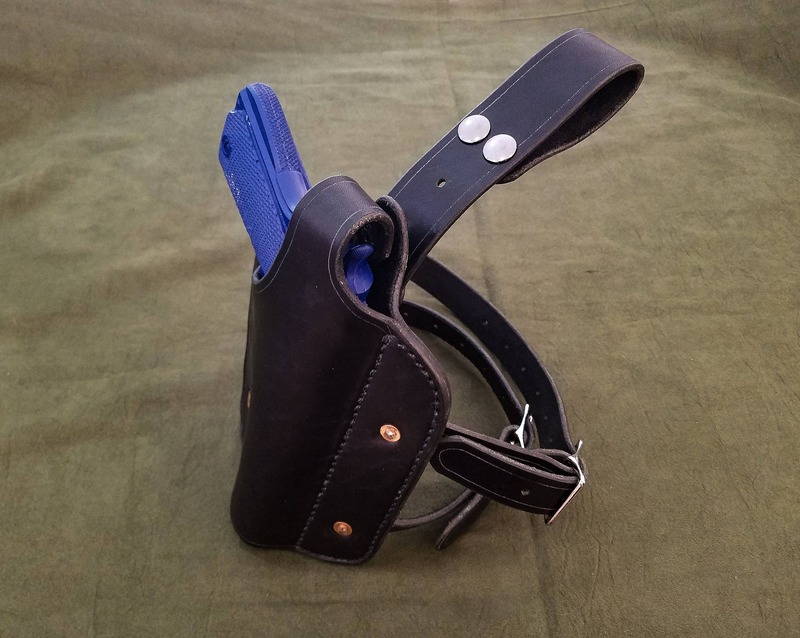 The holster attaches to the belt via a double snap closed 1.5" wide strap that adjusts in length from 10" to 16" and attaches to the leg via two 1" wide buckled straps that fit up to a 35" circumference thigh. 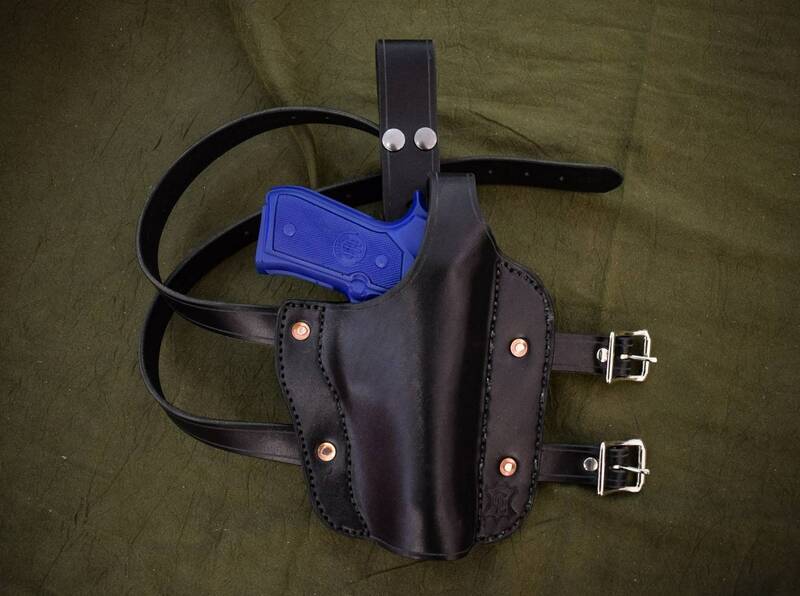 If you would like one made to accommodate smaller/larger thighs, or that can ride lower or higher, let me know. 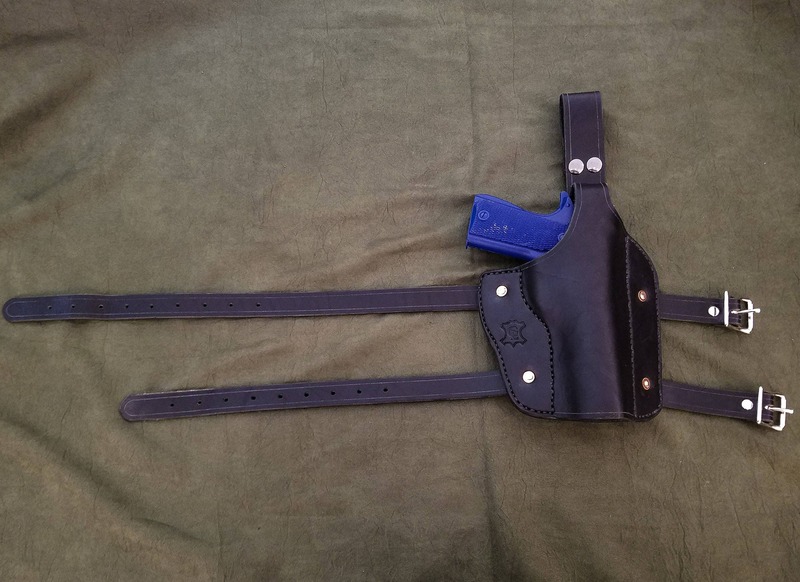 Amazing work and great customer service. 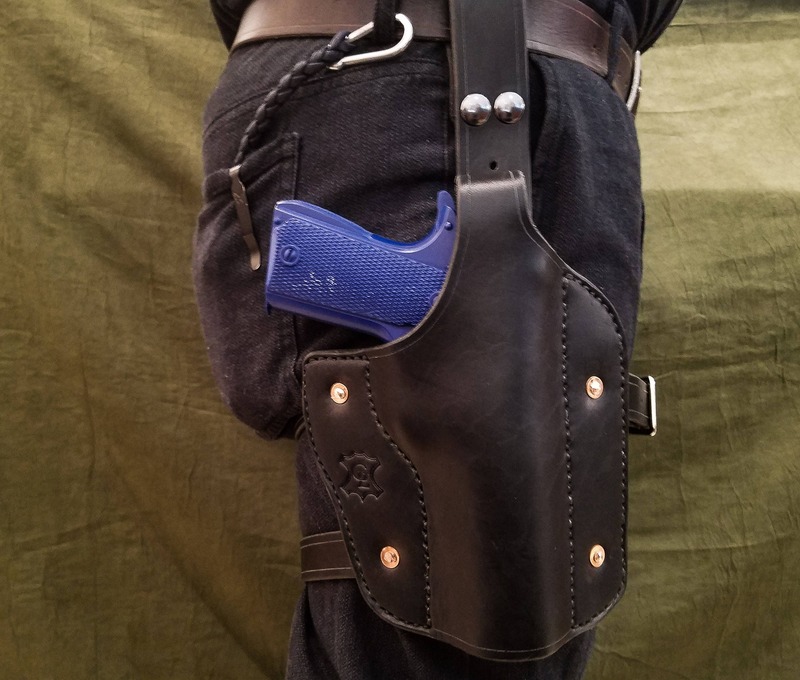 He custom made one to fit my S&W 460. 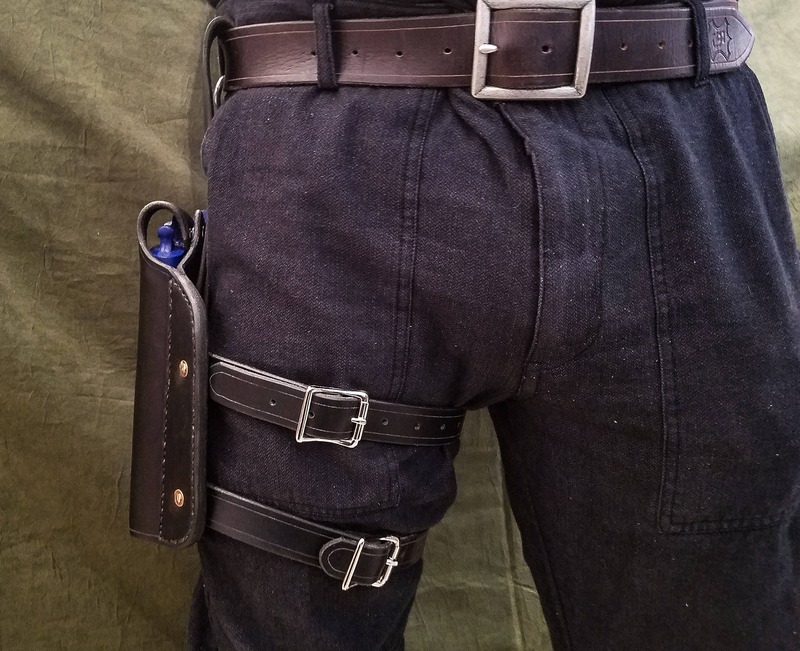 Fits perfect!